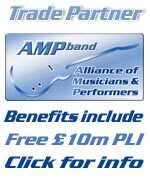 Get an established classic rock covers band in your pub! The Method - The Wellington Saturday night. Alfie@The Wheatsheaf Hotel, Coppull, Chorley on Saturday. This Saturday 3rd December. Classic Rock, Rocked Up Soul, 60s, Blues Rock with 3 part Harmonies..
Polishing The Knob on Friday. Anyone interested in starting a Gary Moore band? Anybody want it - free?? Packers In addition to Movers Bangalore, Top notch Packers. For indie, 60's to modern day covers band.